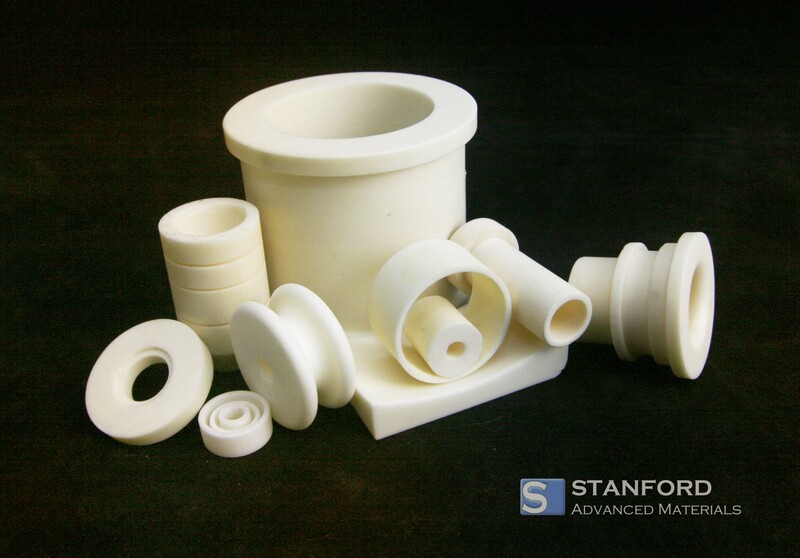 Stanford Advanced Materials provides alumina parts with a wide range of sizes and alumina purity grades. We accept drawings, samples and even photos for the alumina parts you require. Please send us an inquiry and our experts will get back to you within 24hs. Alumina is a ceramic material with high thermal conductivity, compressive strength, and thermal shock resistance. It also has a low thermal expansion, making it a suitable material for furnace use in the crucible, tube, and thermocouple sheath form. Alumina is high hardness and good wear resistance, making it a suitable material for ball valves, piston pumps, and deep drawing tools. In addition, it can be easily combined with metals and other ceramic materials using brazing techniques and metalizing. • In traditional industries, alumina ceramics are ideal for products such as injector tubes, gas nozzles, and insulators. *This chart just demonstrates the typical properties of common alumina materials we use to produce our alumina parts. Please notice that the property for customized alumina parts could vary due to the different process. 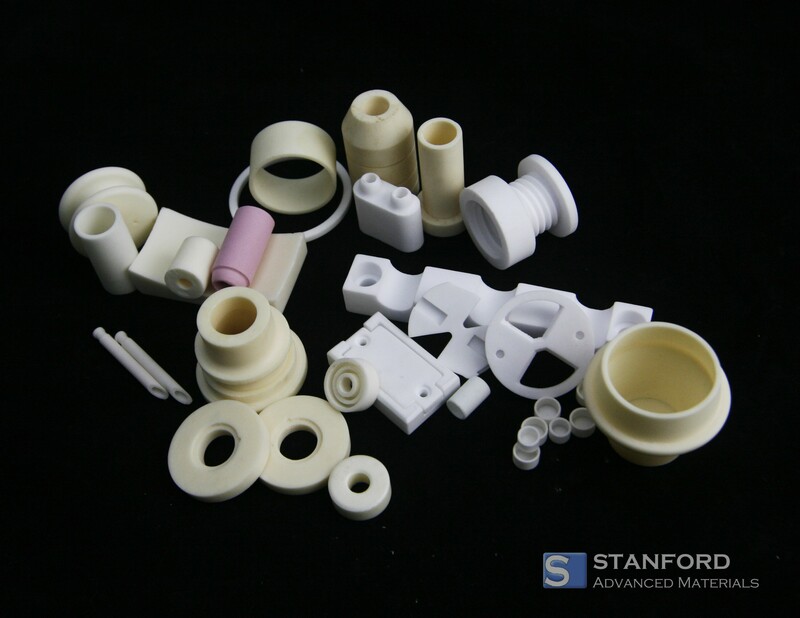 Stanford Advanced Materials could provide alumina products produced under your specified instruction, or do the best to meet customers’ requirements. Our Alumina custom parts are carefully handled to prevent damage during storage and transportation and to preserve the quality of our products in their original condition.